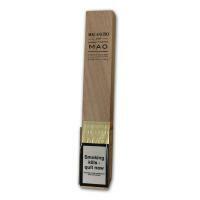 The MAO No. 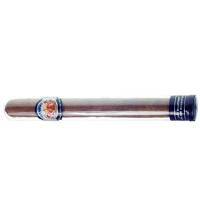 11 cigar is limited to just 1,800 boxes of 10, and every cigar is packaged in individual coffins that open upwards. 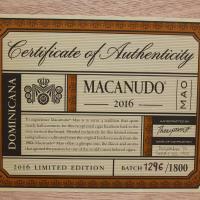 To experience Macanudo MAO is to savour a tradition that spans nearly half a century, for this exceptional cigar hearkens back to the very roots of the brand. Blended exclusively for this limited edition release using tobacco cultivated from the original heirloom seeds from the 1960's. 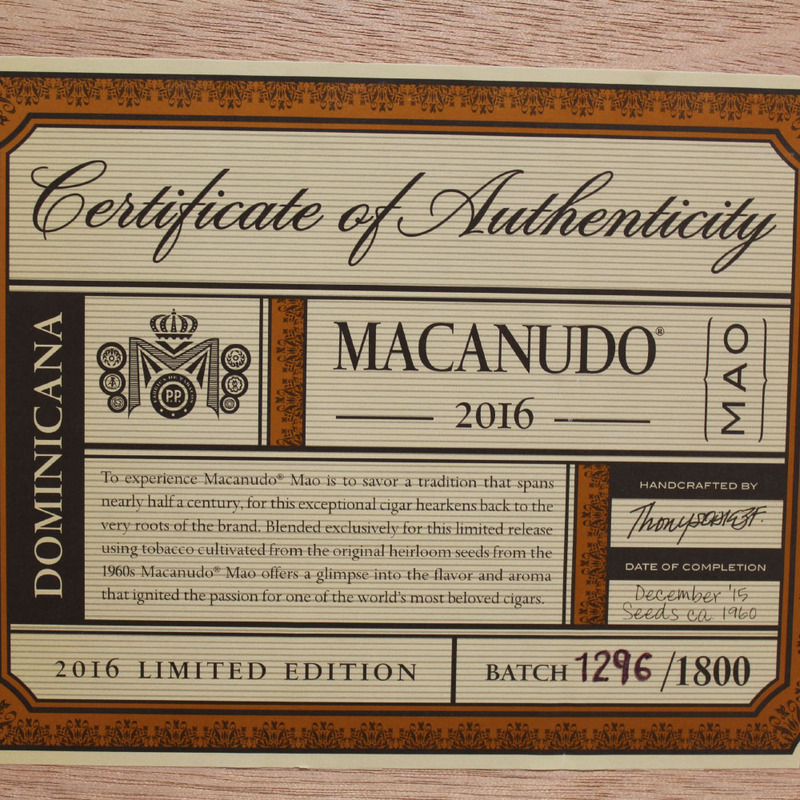 Macanudo MAO offers a glimpse into the flavour and aroma that ignited the passion for one of the world's most beloved cigars. 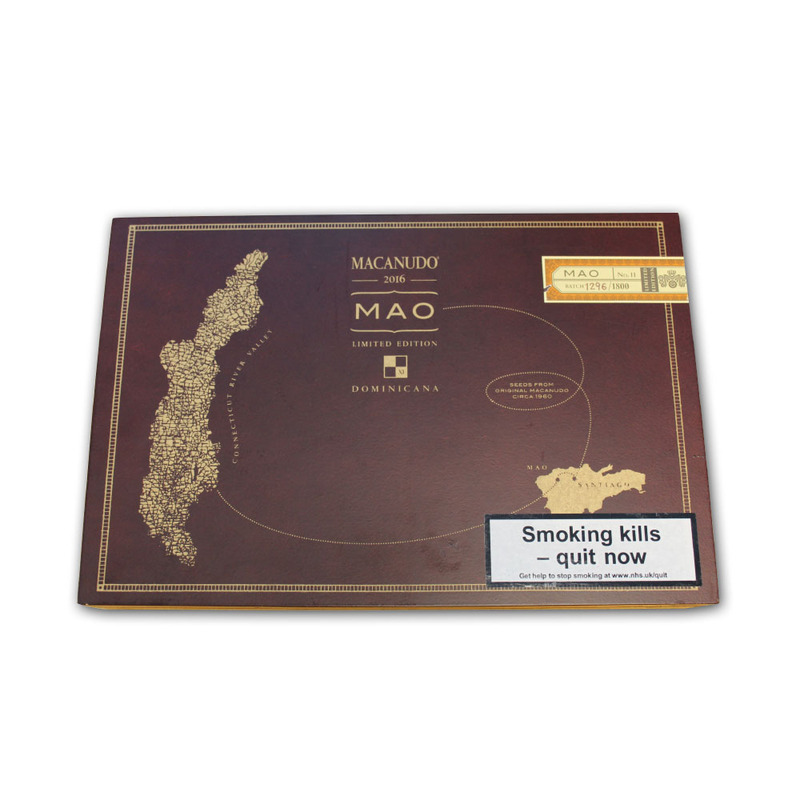 The Macanudo MAO blend consists of tobacco grown from the original seeds that were crossed with other seeds before being planted in the Mao region of the Dominican Republic. 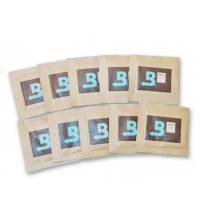 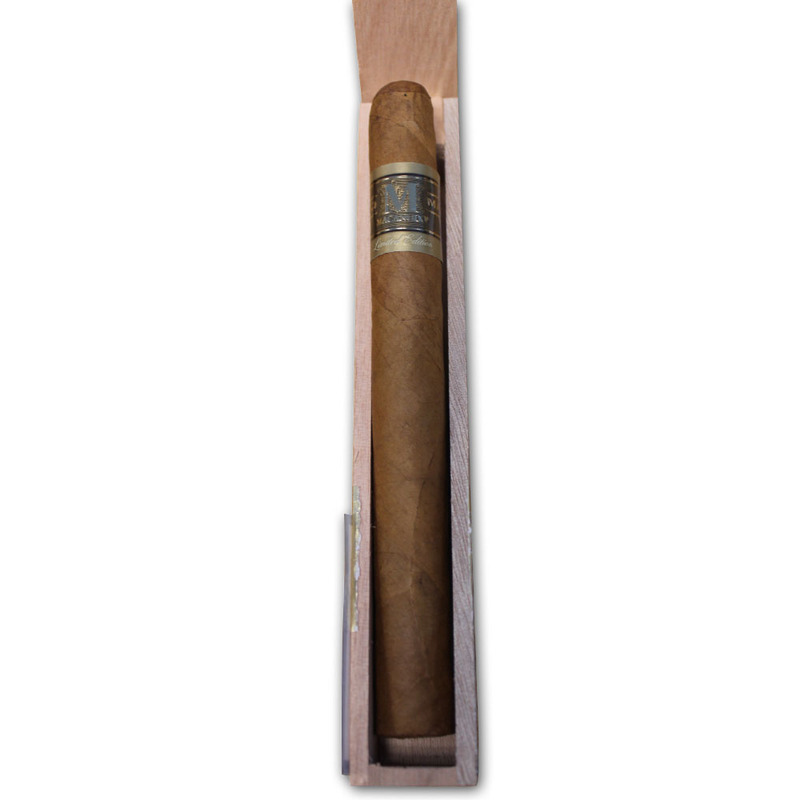 The wrapper is a beautiful Connecticut shade-grown wrapper, with a Mexican binder and filler leaves from Colombia, the Dominican Republic and Nicaragua. 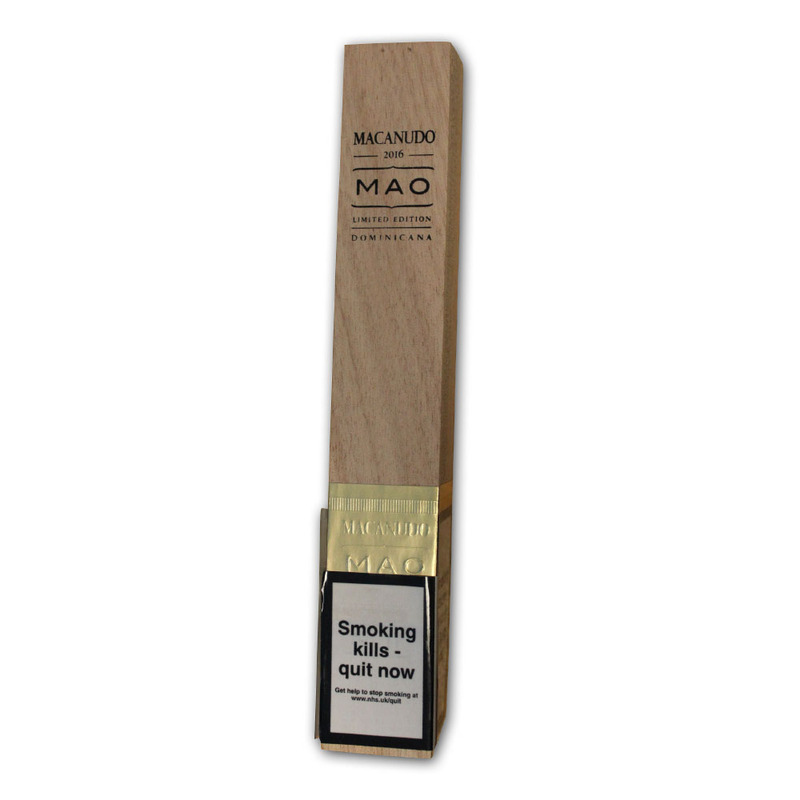 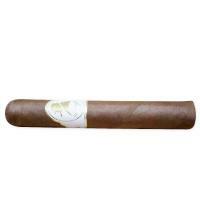 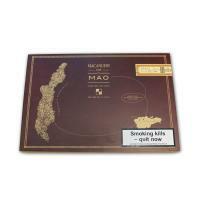 The MAO cigar starts off with aromatic notes of oak, flavours of cinnamon, cocoa and earth. 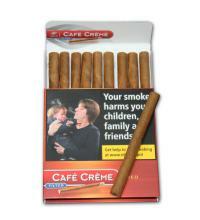 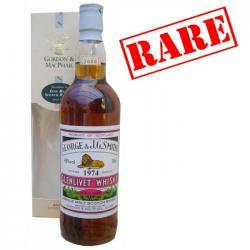 The flavours develop into white pepper to give a slight kick in the first half of the smoke. 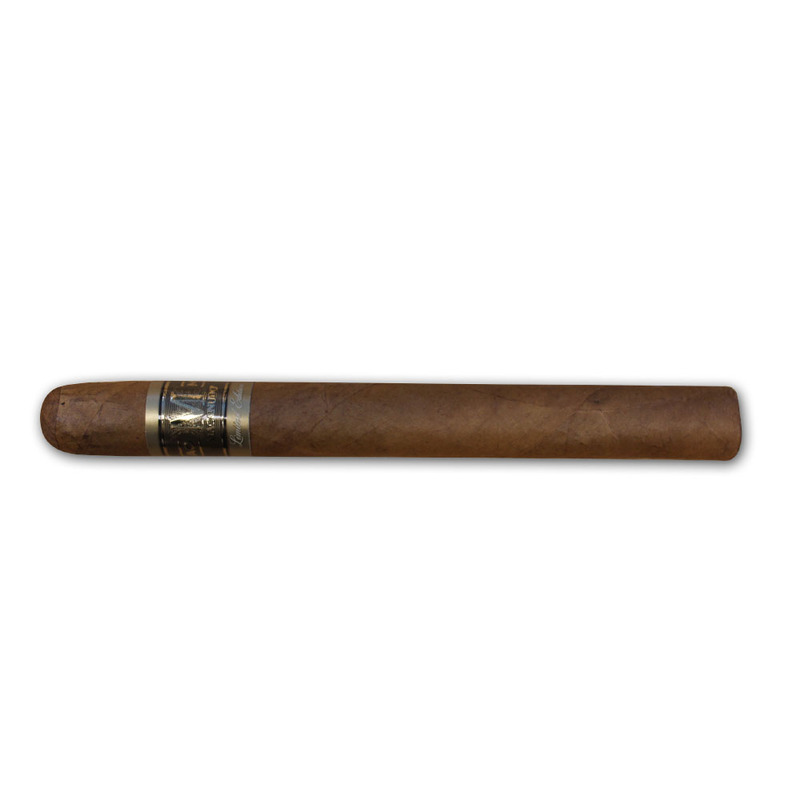 The finish of the limited edition cigar turns into sweet notes of nutmeg, this is balanced out with a slight bitterness.